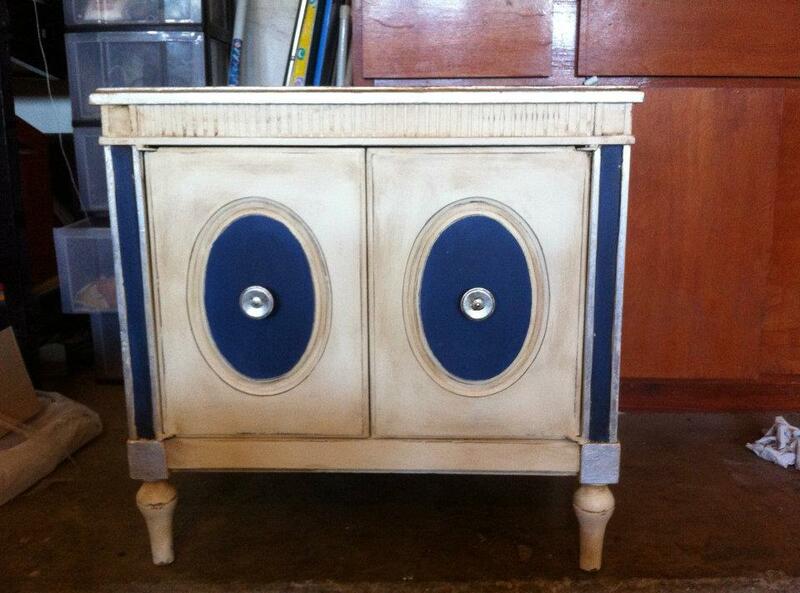 This is a cabinet painted with Annie Sloan Old White, Napoleonic Blue and waxed with both clear and dark wax. 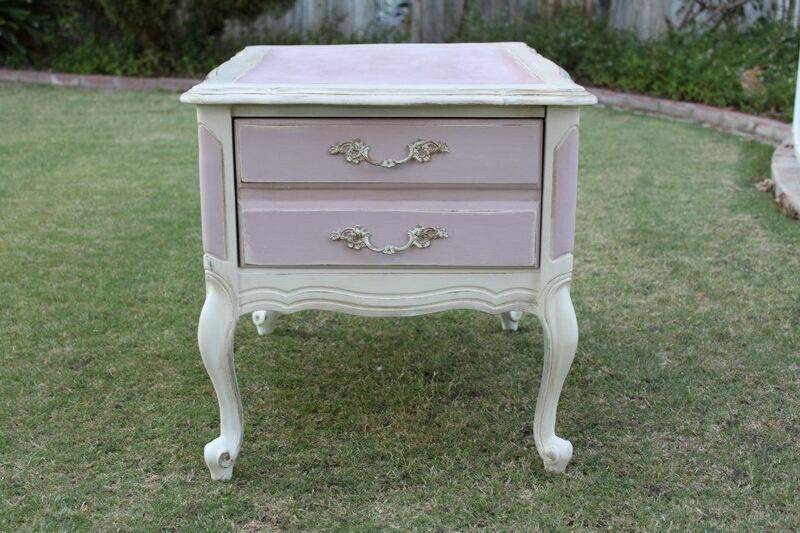 This side table was painted with Annie Sloan Old White, Antoinette and waxed with both clear and dark wax. Banquette benches transformed using Maison Blanche Paint Company in Cerise and Vanille. Stenciling added using my new favorite product - Glacage.